You can travel the world over, and not find a more perfect cooking oil than Macadamia Nut Oil. Its naturally high smoke point (400-450ºF) allows for excellent cooking versatility, and even helps reduce the production of trans fatty acids. 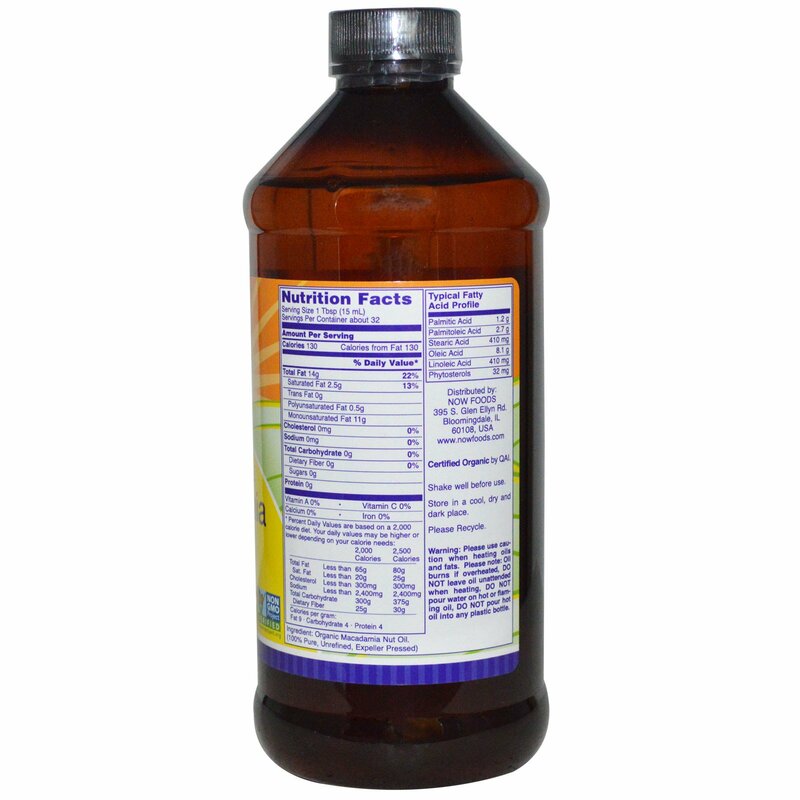 To ensure quality and purity, NOW Macadamia Nut Oil uses only unrefined, unhybridized macadamias. These organically grown nuts are superior in quality, and account for its unique nutritional profile. At 79% monounsaturated fat, 4% polyunsaturated fat, and just 2.5 grams of saturated fat, NOW Macadamia Nut Oil has one of the healthiest unsaturated to saturated fat ratios, even greater than that of olive oil. To retain the naturally occurring vitamins and enzymes, we rely on an expeller press and double filtration process. This, coupled with its delicious nutty flavor, makes Macadamia Nut Oil the perfect complement to chicken, fish, vegetables, stir fry and salad dressings. 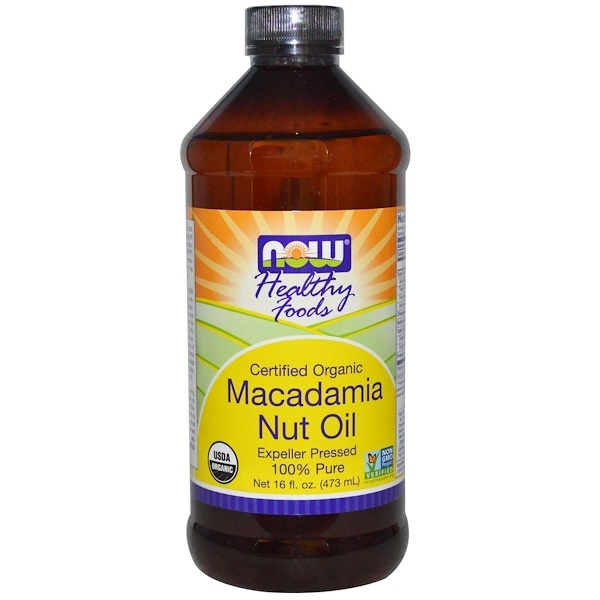 Organic macadamia nut oil. (100% pure, unrefined, expeller pressed). Please use caution when heating oils and fats. Please note: Oil burns if overheated, Do Not leave oil unattended when heating, Do Not pour water on hot or flaming oil, Do Not pour hot oil into any plastic bottle.